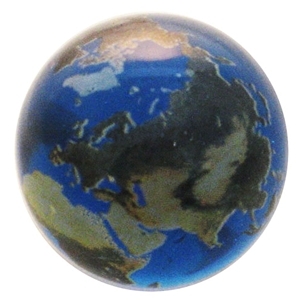 These 7/8" earth marbles have a transparent aqua base with all of the earth's land formations printed on the surface. Warning! : Choking Hazard. This toy is a marble. Not recommended for children under 5 years.